A Bankrate study last year found that 67% of millennials did not own a credit card. This isn’t that surprising since many were old enough to see how the over-usage of debt and the financial crisis affected those around them. The Credit CARD Act of 2009 also made it harder for those under 21 to get a credit card by prohibiting credit card companies from giving out free swag on college campuses and requiring proof of income or a co-signer to get a credit card. Thus, a whole new generation of adults do not see any reason to have a credit card, which could become a problem in the future. 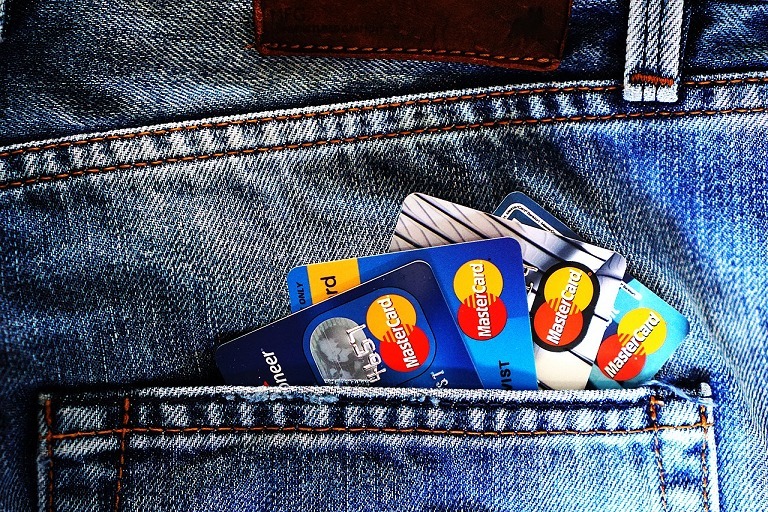 A look on many of the comments posted on personal finance articles about plastic also show many people who are vehemently against the use of credit cards, preferring to use debit cards instead. They say it is too easy to go into debt because people mindlessly swipe because they are spending someone else’s money. Or they say chasing after credit card rewards could lead to people to spend out of control because of the availability of credit. Being wary about debt is a good thing, however, except for only one reason why someone should use a debit card, pulling out a credit card is a vastly superior option when paying for everyday purchases. The biggest drawback about debit cards is they are directly linked to your bank account. For most people, this is the same account that they use to pay their rent, mortgage payments, utility bills, groceries, medical expenses, car payments, insurance, and other household expenses. Any time you use your debit or credit card, there is a risk your information can be stolen. Thieves have installed card skimmers with cameras to record PIN codes along with the data from the card’s magnetic strip as they are used at ATMs, gas station pumps, and even at the checkout counter. A skimmer can be installed in less than 3 seconds when a clerk’s back is turned. If you use your card at any place where it leaves your sight, such as at a restaurant, you also risk your number being stolen by an unscrupulous employee. Even big retailers such as Home Depot, Target, and TJ Maxx have had tens of millions of numbers stolen in recent years. Using your card online isn’t any safer either. Sony had 77 million numbers stolen from their PlayStation Network in 2011. Since money is immediately deducted from your bank account when a debit card is used, that money is already gone by the time you notice it. If you had recently written a check for more than the remaining amount in your account and it gets deposited during this time, that check will be returned and could result in you being charged a returned check fee by your payee. If an overdraft savings account is linked to your checking account, both accounts can be completely emptied by a thief. Luckily, many banks will reimburse accounts of missing funds while cases of fraud are investigated. The benefit of using a credit card is you are temporary borrowing money from the credit card company. In case of unauthorized use of your credit card or number, you are not missing any of your own money. Upon noticing any fraudulent charges on your monthly statement, you can dispute the charge without having to pay the disputed amount. Under the Fair Credit Billing Act (FCBA), the most you will be liable for is $50 when a credit card is used without authorization. If you report the loss of your credit card before it is used, you are not responsible for any charges you did not authorize. If only the number is stolen and you still have the card in your possession, you are not liable for any of the charges either. A debit card’s fraud protection falls under the Electronic Fund Transfer Act (EFTA). Like a credit card, if you report your debit card is missing before someone uses it, you are not responsible for any unauthorized charges. How the FCBA differs from the EFTA is what happens when your debit card is used before you report it stolen. In which case, your liability depends on how quickly you report the loss. If your debit card number is stolen but not your card, you are not liable if you report the unauthorized transactions within 60 days of your statement. If you use a debit card it is extremely important that you check your statements regularly. A study by the Filene Research Institute found that debit card users had lower credit (FICO) scores than credit card users. Having a low credit score will result in higher interest rates and increased costs for everything from mortgages, car financing, personal loans, and insurance rates. Unless you plan to pay cash to buy your next car or a house, expect not having credit to cause problems down the road. One of the factors that go into the calculation of the credit score is credit utilization, which makes up about 30% of the credit score. FICO wants to see signs of responsible credit usage and people with the best scores average about 7% credit utilization ratio. This ratio is calculated by dividing the credit card balance by the total amount of credit available. When you only have a debit card instead of also having a credit card, you will have no or minimal credit score. Another factor that influences the credit score is length of credit history, which is 15% of the credit score. This is based on the length of time each account has been open. This factor is an important component of FICO because lenders view the longer the credit history, the more experience someone has in handling and using credit correctly. To prevent debit cards from affecting your credit score, you can apply for a credit card with no annual fee that you keep at home and only use it occasionally to keep it active. If you are already going to pay for something with a card, you might as well earn something for it. This does not have to mean spending more money than you would have otherwise. Both debit cards and credit cards have offered rewards programs for you to earn cash back on purchases or points for hotel stays and airline miles. Thanks to the stronger economy, credit card issuers have been rolling out more and more lavish offers to sign up new customers. Some cash-back cards are offering 2% return for each dollar spent, while others are offering up to 5% on specific categories such as gas, groceries, or for shopping at a particular store. For those who travel, it is not difficult to find cards that offer tens of thousands of points as a sign-up bonus. Rewards programs for debit cards are getting harder to find and they are usually less generous. Due to an amendment in the Dodd-Frank Wall Street Reform and Consumer Protection Act that was passed after the financial crisis, interchange fees for debit transactions are now limited to 0.05% of the transaction plus 21 cents. Interchange fees are charged to the merchant by the card-issuing bank to cover liability, overhead, and transaction costs. Since these fees are much lower than before, the bank has no reason to provide incentives or pay for the costs of maintaining a rewards program to encourage you to use your debit card more often. The study by Filene Research Institute also found that debit card users pay substantially higher fees than credit card users, some up to 2.5 times more. The idea that debit cards prevent over-spending by limiting the amount that is charged to what is available in your bank account also has a drawback. Unless you are extremely diligent in keeping track of your balance for each charge you make everyday, you can unknowingly overdraft your account, resulting in a cascading effect of penalty fees. It is not unheard of for users to suddenly find themselves owing hundreds of dollars in fees when each transaction has a $35 penalty. If you are a debit card user, you need to take note of your bank’s overdraft practices. Many banks have a standard overdraft policy in place for checks, automatic payments such as phone or utility bills, and recurring debit card purchases like gym memberships as a “convenience”. Some people have been surprised when withdrawals are re-ordered to those with the highest dollar amount being subtracted first, resulting in a bunch of overdrafts from the following transactions. Having overdraft protection on your checking account may not help prevent fees either due to a federal law that limits withdrawals from a savings account to six per month. Each overdraft protection transfer counts as one withdrawal, and each withdrawal over the limit has a fee that is usually $5. If you are making a large purchase, it is better to pay for it with a credit card than a debit card. If something goes wrong with the purchase, you can dispute the charges with the credit card company, who will work with the merchant or service on your behalf to resolve the issue. The vendor also knows if they are unable to come to an agreement, it can result in a chargeback of the amount by the credit card company. A chargeback is where the disputed amount is taken out of their merchant account along with a chargeback fee that is usually $35. Too many chargebacks on their account will lead to them being unable to accept credit cards from Visa, Mastercard, AMEX, or Discover in the future. You have fewer protections when using a debit card since the money is already withdrawn from your bank account. If you are someone who have limited funds in your checking account, holds and blocks that occur when you use your debit card at gas stations, hotels, and rental car agencies can have a big effect. A hold happens at any place where the full amount of a charge is not known in advance. The merchant temporary reserves an amount to ensure your account has enough money to pay for your purchase. A gas station may place a hold for $50 or $100 even though you only purchased $20 in gas. A hotel may put a hold for the full amount of your hotel stay plus extra to cover for taxes, room service fees, or the items from the minibar. A restaurant or bar may use a hold if you open a tab and to reserve enough for a tip. A rental car company’s hold might be several hundred dollars over the amount of the rental to cover for gas, damages, or possible theft. The money that is placed on hold is actually still in your account, only you can’t use it until it is released. How long a hold varies depending on the merchant. Those whose account balance is on the low end might end up having transactions denied or rejected while the hold is in place. This also affects credit card users, but this wouldn’t have an affect on your check payments or other bills since your card isn’t linked to your bank account. If you are a traveler, renting a car may be more complicated when you only have a debit card. Rental car companies place additional requirements for users of debit cards. In addition to holds on the account above the cost of the rental, they may perform a credit check, ask for two or three additional forms of identification, or require you to show your return flight itinerary if you are from out of town. There are many reasons why a credit card is a better choice over a debit card. For most people, fraud is probably the biggest concern. The only reason why someone should use a debit card is if they are unable to control their spending. If you cannot pay your credit card balance in full each and every month, then you should stick with debit cards. As long as you treat a credit card like a debit card and do not spend more money than you have in your bank account at the time of usage, there are no drawbacks and many benefits for using a credit card. In fact, having the ability to carry a balance can be a plus in case of an unexpected expense like your car needing repairs so you can get to work. Just pay off any charges as soon as you can and don’t get into the trap of carrying a balance regularly. What is your feeling on credit cards and debit cards? Do you prefer to only carry a credit card or a debit card? What is in your wallet?